With only 6 months to go until Making Tax Digital goes live, we invite you to a free seminar to help get ready for these big changes in VAT reporting. This session provides a clear and practical guide to what Making Tax Digital for VAT (MTDfV) means in reality. We will show the best approach to ensure you implement in the most efficient way and in time. Making Tax Digital (MTD) is the most fundamental change to the administration of the tax system in the last 20 years. The government are introducing the Making Tax digital for VAT (MTDfV) legislation from 1 April 2019. 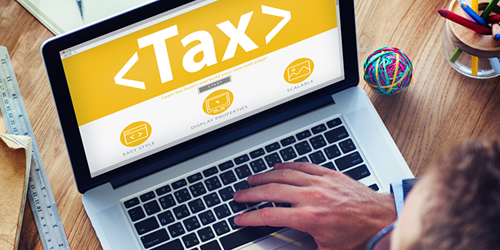 While MTD has been delayed for other taxes until at least 2020, all VAT registered businesses with taxable turnovers above £85,000 a year must submit their VAT returns digitally, using MTD-compatible software, from April 2019. This applies to charities, schools, public bodies, sole traders and partnerships, not just corporate bodies. From April 2019 the current HMRC online portal will close for businesses with taxable turnovers above £85,000 and VAT return figures will need to be submitted directly from their accounting system or via ‘bridging’ software. VAT registered businesses that have a taxable turnover of less than £85,000 can voluntarily register for MTDfV. If you currently keep manual records and have a taxable turnover over £85,000, you will need to use software and keep digital records. It would be advisable to change to a digital accounting package as early as possible to get used to the new systems before MTDfV is introduced next year. Our team work with clients to source the most appropriate accounting packages for them to deal with the move to digital reporting and will be happy to help with this. Jack Butterworth will offer valuable guidance and also highlight the different ways to tackle this within your own organisation. Tap into his detailed expertise and get answers to your questions and challenges. Our South West London office is located just a 10 minute walk from Putney mainline station and 15 minutes from Putney tube station. Do you want to be kept informed of all future events?